Having recently released our newest title (Building the Revell He 219A-7 in 1/32 Scale), I thought I’d take some time out and do some model building of my own! 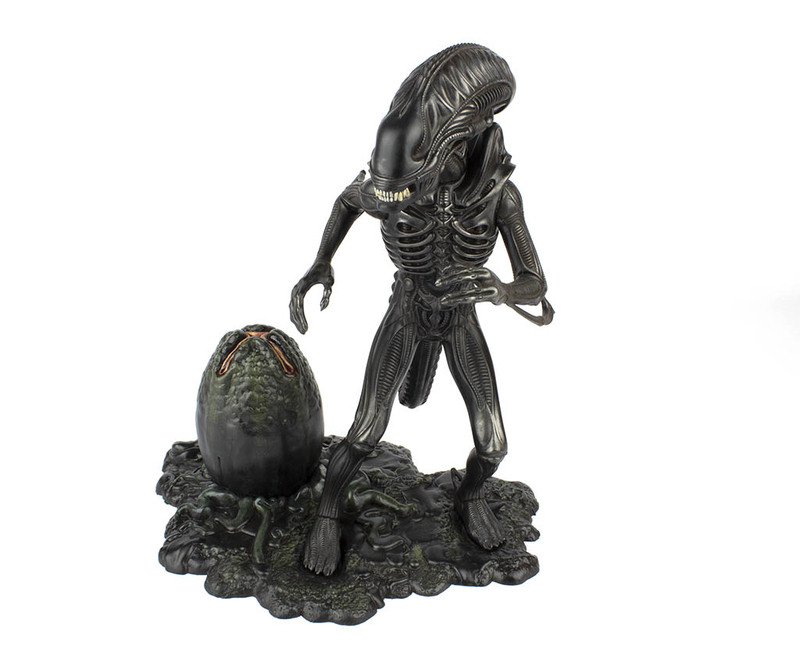 I chose to finish off Halcyon’s 1/9 Alien figure, which comes with a diorama base and alien egg (the ones that squirt nasty little facehuggers at you!). I’d started this build mid-way through 2018, but put it aside due to some uncertainty around how to make the base more interesting. Since 2018 was all work and no play for me, I resolved to be more productive at the workbench in 2019, and dragged this one off the shelf of doom and set about finishing it off. The initial colour layer for the diorama base was simply Mr. Finishing Surfacer 1500 Black, straight out of the rattle can (the Alien figure received the same treatment). This was followed by a light dusting of clear flat, ready for the next stages. The solution for making the otherwise all-black diorama base look more interesting turned out to be a smattering of washes and dry-brushing using various shades of green—the most effective of which was U.S. Interior Green (Gunze H58, to be exact). Heavy streaking and dry-brushing with shades of green, followed by a heavy coat of clear gloss, produced a suitably slimy result. To finish off the egg, I applied some clear UV-curing gel to the opening, which created a nice sense of slimy ooze, and helped enhance the organic effect I was aiming for. Don’t stare for too long! The Alien figure received the same base coat of Mr. Finishing Surfacer 1500 Black. The highlights were worked in by dry-brushing some Mr. Metal Color Dark Iron, along with some detail work with a 2B graphite pencil. This was followed by a heavy wash of dirty black/brown, achieved by mixing Flory Models Dark Dirt with Black. I’m pretty happy with the final result, even though this type of modelling is way out of my comfort zone! We’ve already released one sci-fi title as a free download (Building the Revell X-Wing in 1/48 Scale), so perhaps we should do some more!